Like anything, learning about skin care takes a long time and a lot of studying. Most people can get by with the general idea of, “you need to wash your face and if your skin is dry, put a cream on it,” but people like us always want to know more. We’re curious about things like, what kind of face cream should I use? Should I use an oil or a lotion? Is there a difference between oils? The more answers we find, the more curious we are, and we know that we’re not alone in our information pursuit so we do our best to share that information with you. And we always start with the very basics. When it comes to skin care, moisture refers to oil. The term ‘moisture’ is often interchanged with ‘hydration’ in the industry but when we mention hydration, we’re actually talking about water, which is a vital component to a good skin care routine, and hydration and moisture are certainly interconnected, but it’s important to know the difference so that you can start to get an idea of what your skin needs when you’re looking closely at your routine. If you’re familiar with our line, you know that our moisturizers are oil based. We prefer to use oils rather than lotions because it’s closer to nature. Since the skin produces oil naturally, when you work with oils, you want to use just a pea-sized amount per application because it’s possible to use too much of a good thing. Put a drop in the palm of your hand, rub your hands together, and pat that into your face. This will help to ensure that you’re moisturizing equally. Now onto how to choose the right oil for your skin. As with most things about the body, if you’re looking for a simple catch-all answer, you won’t find it but we promise you that once you get the hang of it, finding the right way to moisturize gets easier. Whenever we start something new, it’s important to start from the beginning. So to find the perfect moisturizer, start by looking at what your skin needs. What are you experiencing? Is your skin dry? Is your skin oily? Maybe it’s oily in some places and dry in other places? A good way to test for your skin type is to wash your face and not use any products. After a couple of hours, touch a tissue to your face in several spots to see where you may be oily. If you don’t find any oil on the tissue your skin is probably a little dry if you have oil in certain spots but not everywhere your skin is probably a combination, and finding oil everywhere on your face suggests that you’re experiencing oily skin. Once you know what your skin type is, you can work on finding the right oil for your skin type. We wrote about how to find the right type of oil for your skin type in depth but here's what to look for when finding the right natural moisturizer for you. If it’s hard for you to wrap your head around adding more oil to oily skin, you’re not alone. What we want to focus on is letting the skin breathe by reducing the amount of oil it needs to produce on its own. When we use harsh products to strip the oils away, the skin can feel more oily than it did before and we can find ourselves in a cycle of slick skin that never finds balance. We always want to break the cycles that don’t suit us and a good way to break the oily skin cycle and bring balance to the skin is to moisturize with a lightweight oil. The texture of our natural oils is very thick and it can easily be pore clogging if there is too much of it. The idea behind adding moisture to oily skin is to support it so that it gets the moisture it needs without the thick, sticky sebum that can trap dirt and cause impurities. Using a light oil that is easily absorbed allows you to stay moisturized so your skin will naturally balance its oils while also being less likely to trap dirt. Our Herbal Facial Oil for Oily Skin is a great option. It has a base of grapeseed oil, keeping it super lightweight, but also has an infusion of herbs like neem and white willow that are clarifying and pore tightening. Normal and Combination Skin are usually put in a category together (including in our line) because it’s all about keeping the skin in perfect balance. You want to provide good moisture for the skin but you don’t want it to be so thick that it will be pore clogging. If your skin is very combination (for example: oily in the T-Zone while dry and flaky in the cheeks) you will want to work with a moisturizer that is great for all skin types, like sunflower seed oil, that will absorb easily, lock in moisture and hydration, and allow the skin to come into balance. Because combination skin can be a little complicated, you may want to keep a routine where you offer extra support besides just using your moisturizer to those different aspects of your skin—like using two different facial masks, one for the oily parts and one for the dry parts. When we formulate products for normal and combination skin, we do our best to use oils that nourish and clarify. That’s why we use the grapeseed oil as the light base of our Herbal Facial Oil for Normal & Combination Skin but we add olive oil and sunflower seed oil to offer more soothing moisture to those dry parts without clogging pores in the oily parts of the skin. The herbal infusion offers herbs like comfrey and horsetail that are high in minerals to help nourish and balance the skin while also having herbs like calendula and gotu kola to help clarify and soothe. For dry skin, a moisturizer that is thick and rich is the best. 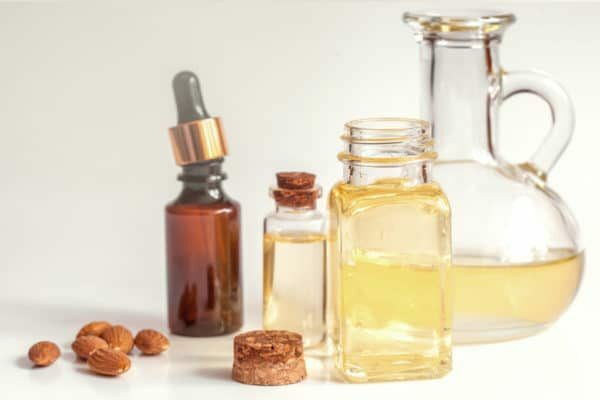 Remember that the skin produces oil to moisturize itself and that natural sebum is a heavy, waxy kind of texture so if you have dry skin, you want to replenish it with a facial oil that has similar characteristics. In this skin type, we’re typically less concerned with clogged pores (and often when people with dry skin are working with impurities too, adding a good moisturizer is just the ticket to clear skin!) so we want to give the skin lots of good, pure oil to work with that it can readily absorb! Oils like avocado, coconut, and jojoba are perfect because they’re nice and thick, high in nourishing antioxidants, and they lock in moisture for seriously smooth skin. Our Anti-Aging Facial Oil is formulated with dry skin in mind. We use an herbal infused jojoba and sesame oil blend along with other nourishing oils like chia, sunflower seed, and rosehip seed too deeply moisturize and keep the skin supple. It also features infused herbs like plantain and life everlasting for a calming sensation. What is your skin type? Do you have a favorite way to moisturize? Let us know! I never know how to answer questionnaires because I have EVERY problem on my one face. I am rapidly going on 69, so I have wrinkles, age spots, and mature, dry skin. I have deep lines and sagging jowls around my mouth. I also have very sensitive skin. It will burn from many products, get red, itchy and flakey. I am blond (still have no gray hair) with blue eyes and sunburn easily. My nose (not my forehead or chin) seems very foreign to the rest of my face. It could supply the country with oil if we ever run out. It is covered with completely clogged pores that nothing and no one has ever been able to clear (I’ve had many facials, used numerous masks, and many different skin care lines, natural and otherwise). I also have multiple chemical hypersensitivity, and use only unscented products. I also have some broken capillaries, eyes that react (red bumps) to most eye creams, and very dry lips. I’m a real challenge. Can you HELP(! ), please? One of our customer support angels will email you soon to chat about the best skin care routine for you.